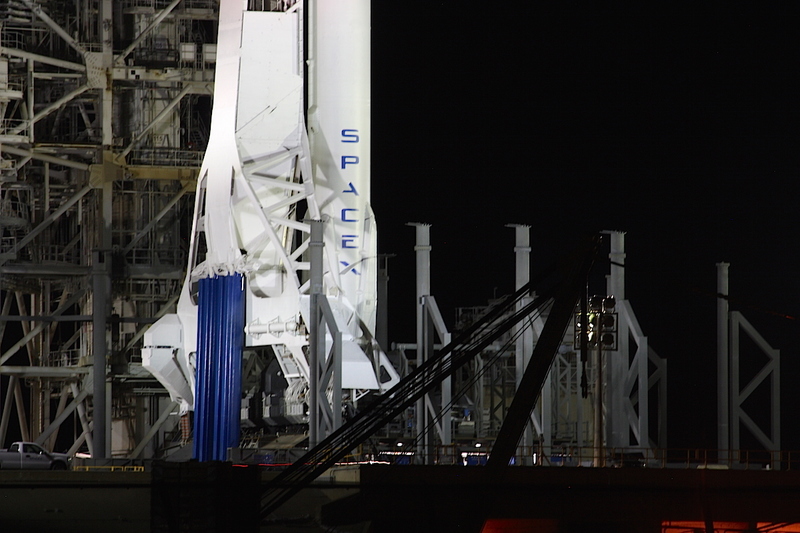 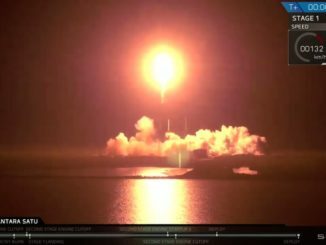 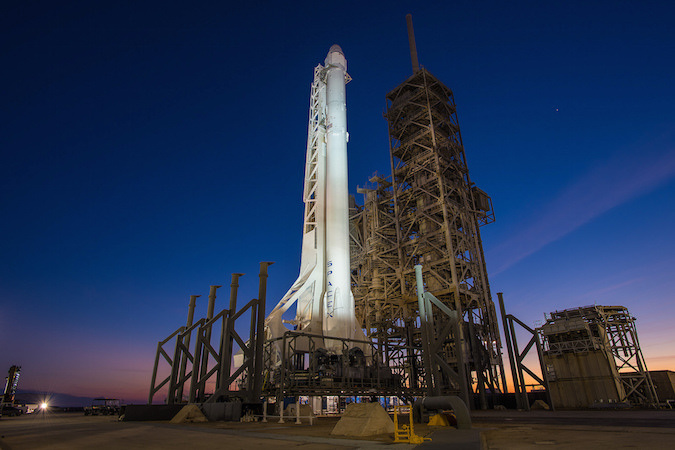 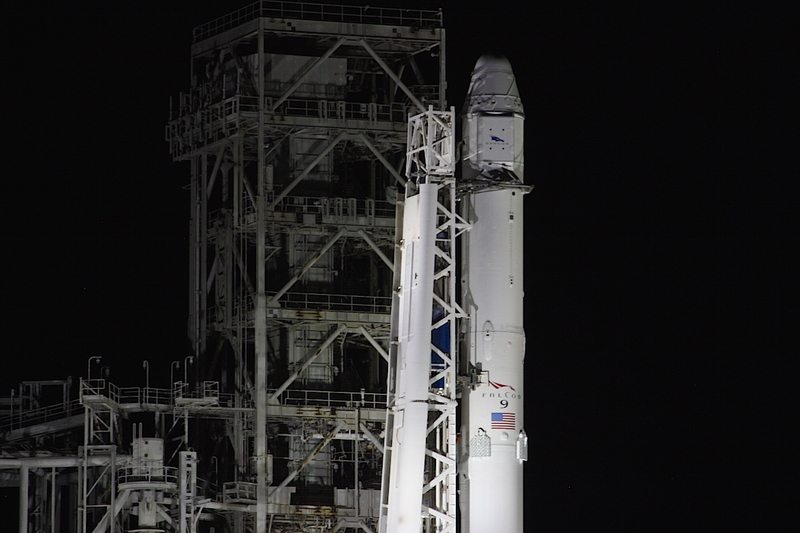 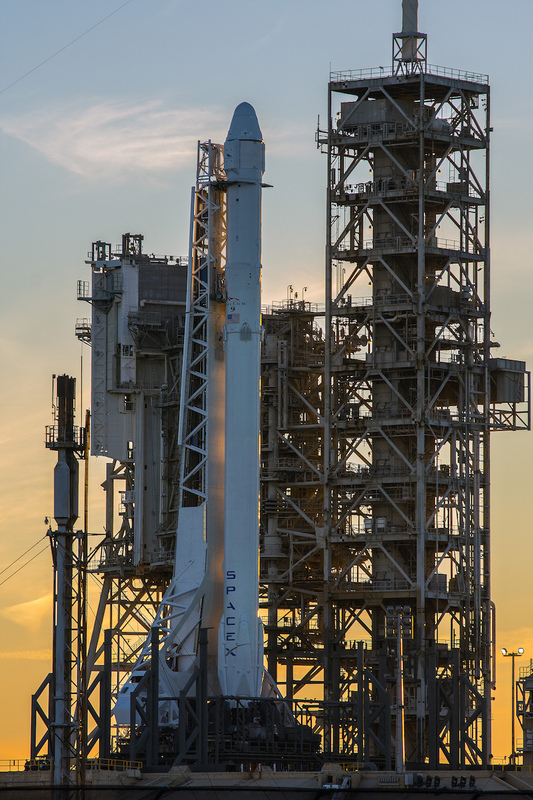 SpaceX’s Falcon 9 rocket and Dragon supply ship received their final cargo load Friday before a hydraulic lift raised the 20-story booster vertical atop launch pad 39A at NASA’s Kennedy Space Center. 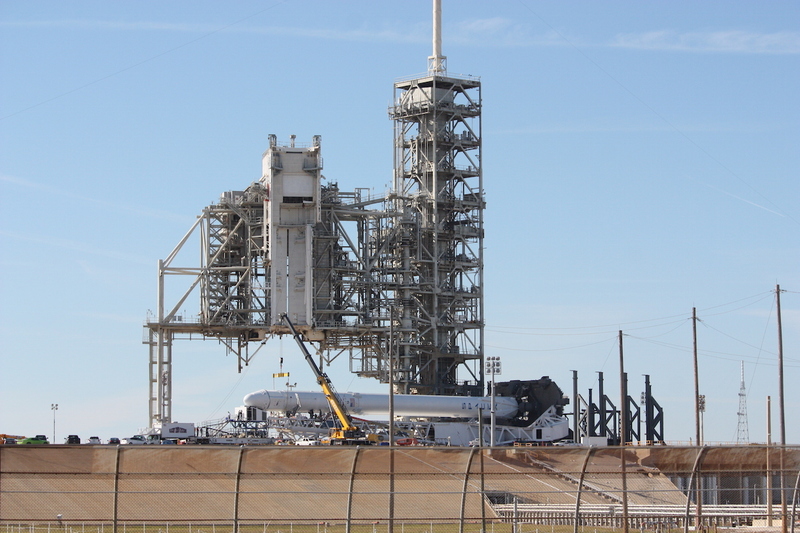 The 213-foot-tall (65-meter) rocket is taking off from pad 39A for the first time, and flying for the 30th time overall since June 2010. 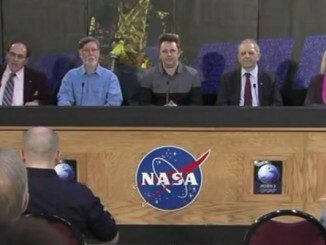 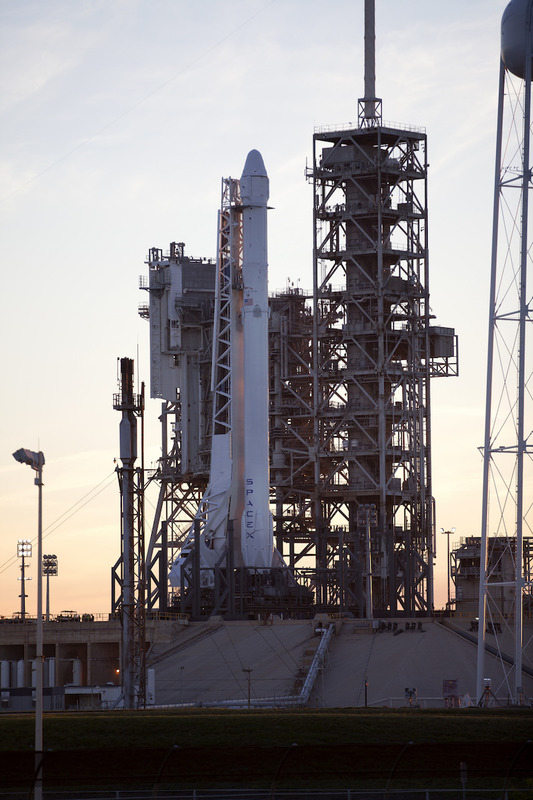 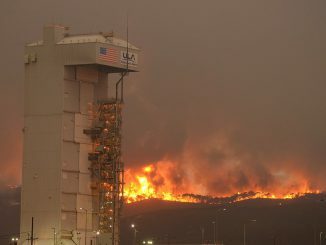 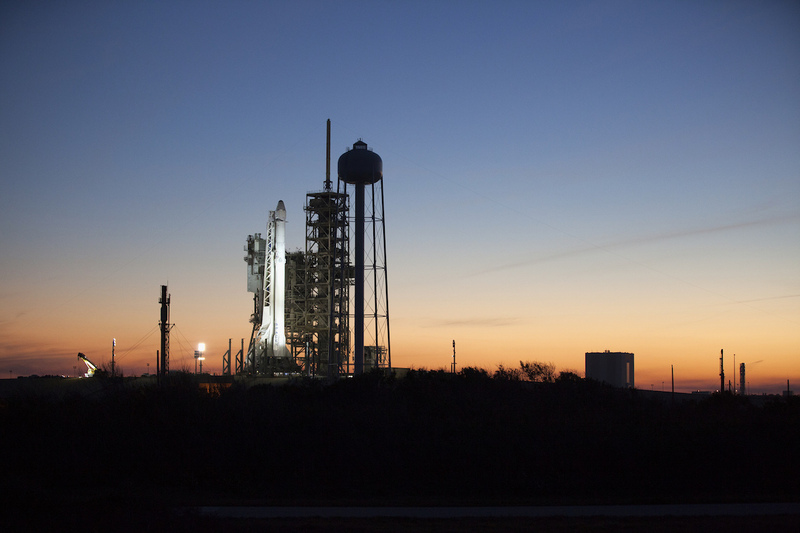 Liftoff is set for Saturday at 10:01 a.m. EST (1501 GMT) on a resupply run to the International Space Station. 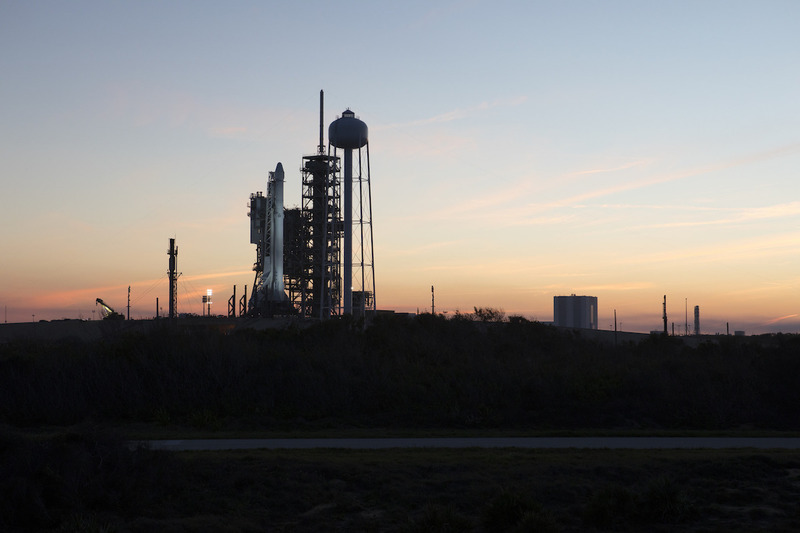 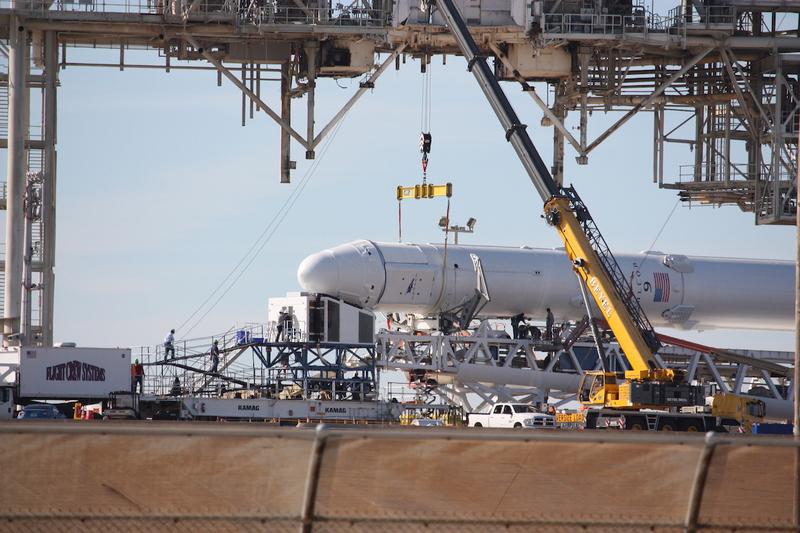 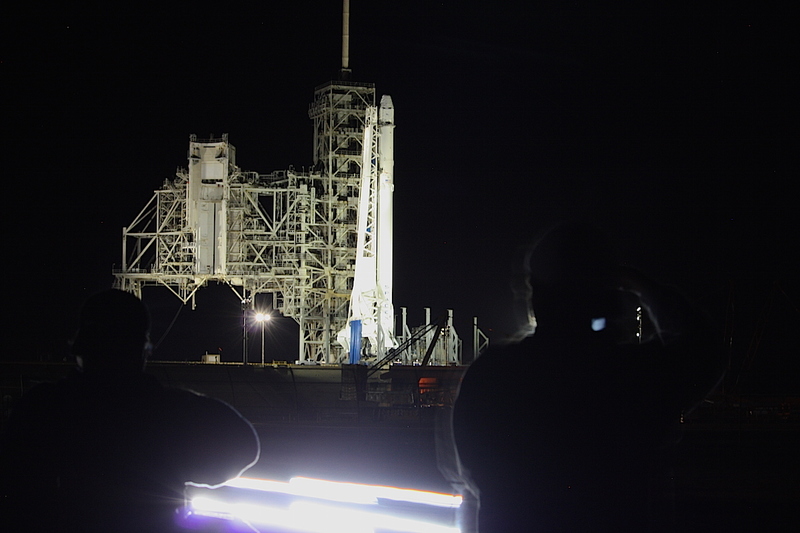 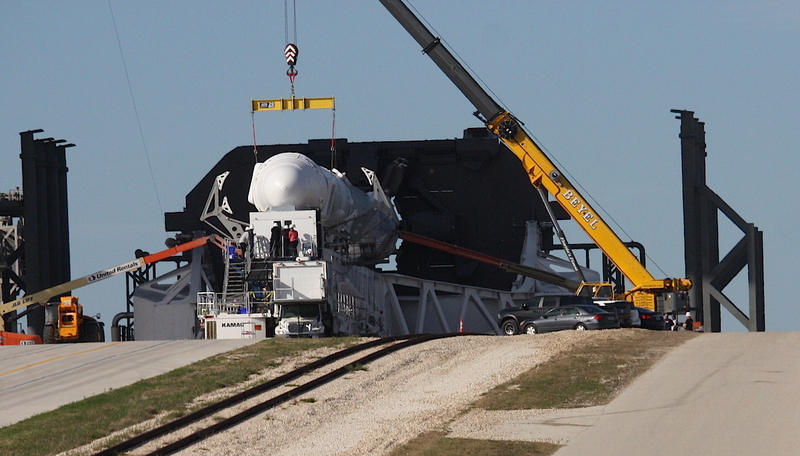 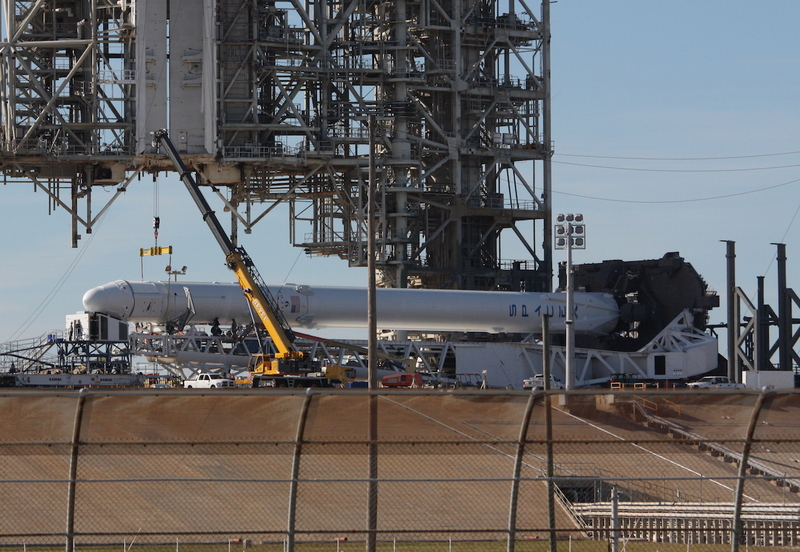 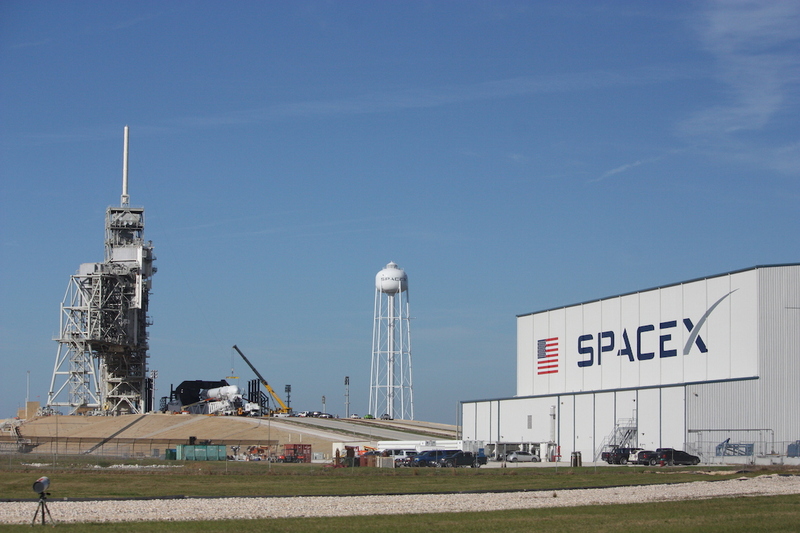 These photos show the rocket sitting on its side Friday afternoon, as well as views of the Falcon 9 vertical at pad 39A at sunset earlier in the week, and after raising to the vertical position Friday night.